Cydia is fully working on iOS 4.3 GM. Step i: The first step is to download the PwnageTool bundle for your version of iOS device. Download this PwnageTool bundle and extract the contents of .zip file in a folder. 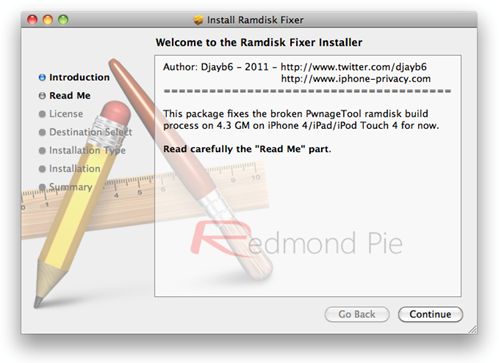 Open this folder and look for iPhone3,1_4.3_8F190.bundle file that we are using for this jailbreak. Put this file on your desktop for quick access. 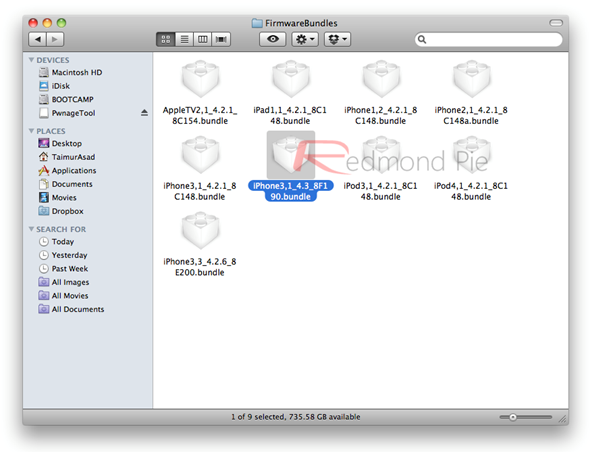 Step iii: In Contents/Resources/FirmwareBundles/ copy/paste iPhone3,1_4.3_8F190.bundle file that you found after completing the previous step. Step v: Now you need to create a custom jailbroken firmware. 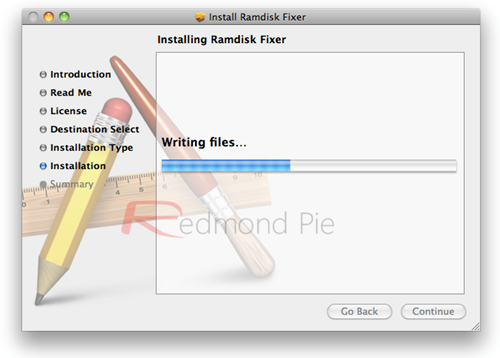 First download the official iOS 4.3 GM firmware and move it to the desktop. Step vi: Run the PwnageTool in “Expert mode” that you downloaded earlier. Select your device when the following Window appears. Step ix: PwnageTool will ask you to enter your device in DFU mode. To enter DFU mode, Hold down Power and Home buttons for 10 seconds. Now release the Power button but continue holding the Home button for 10 more seconds. Following screen will appear when your device will successfully enter DFU mode. Hold “Shift” key on keyboard if you are using Windows or “alt/option” key on keyboard if you are using Mac. 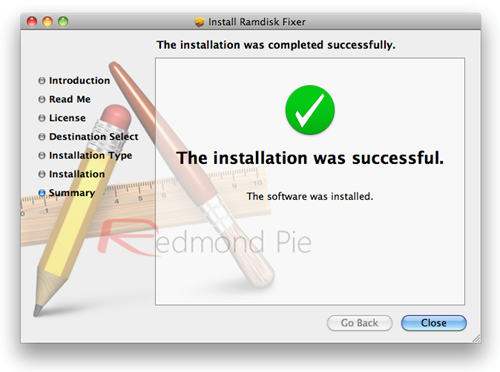 Click “Restore” and point the browser to the custom created .ipsw file. As this jailbreak is untethered because there is no untethered jailbreak for iOS 4.3 yet, we will use a utility called “tetheredboot” to boot our iPhone to a tethered jailbroken state. 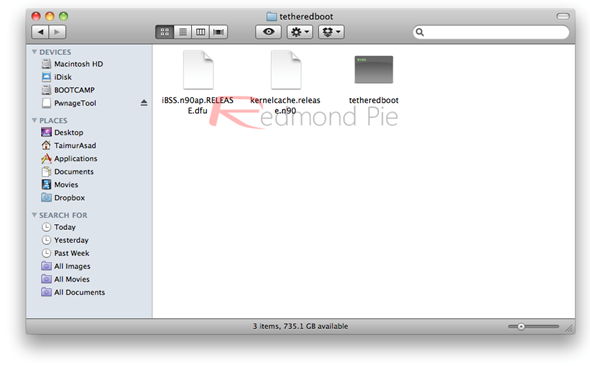 Step xii: Download tetheredboot.zip utility for Mac OS X and unzip the .zip file. Step xiii: Create a copy of custom iOS 4.3 GM firmware that you created in previous step and extract the contents of .ipsw file by changing it’s file extension to .zip. When extracted. We will need these two files: kernelcache.release.n90 and iBSS.n90ap.RELEASE.dfu. copy kernelcache.release.n90 and iBSS.n90ap.RELEASE.dfu files located in /Firmware/dfu/. You will see terminal executing some scripts. After few moments, you will be asked to enter your device in DFU mode (Press and hold “Home” and “Power” buttons for 10 seconds, then release “Power” button but keep holding “home button” for 10 seconds). Once you enter your device in DFU mode, the terminal will show “Exiting libpoison” message. 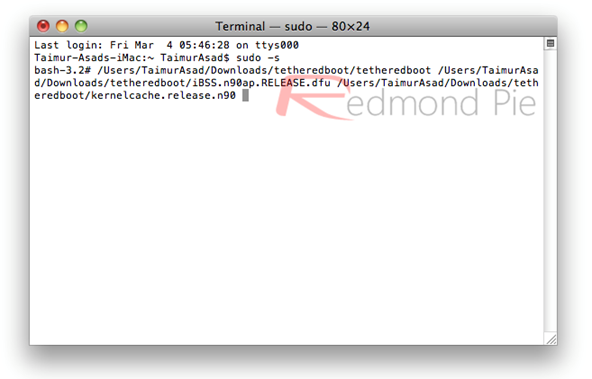 After that, your iOS device will start in a jailbroken tethered mode. 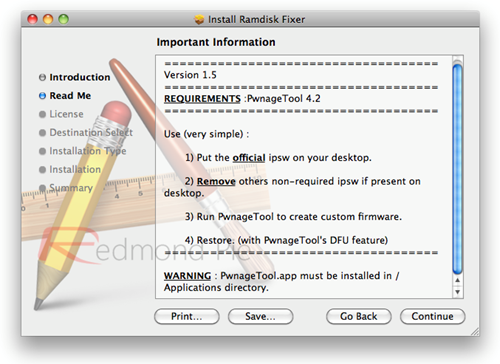 UPDATE 1: A new iOS 4.3 PwnageTool bundle for iPhone 4 is now available which eliminates the need of Step 4 above for creating Ramdisk. You can download this new bundle from here. UPDATE 2: iOS 4.3 PwnageTool bundle for new and old bootrom iPhone 3GS can be downloaded from here. UPDATE 3: Full jailbreak instructions for jailbreaking iPad on iOS 4.3 can be found here. UPDATE 4: Instructions on how to jailbreak iPod touch 4G and 3G can be found here.